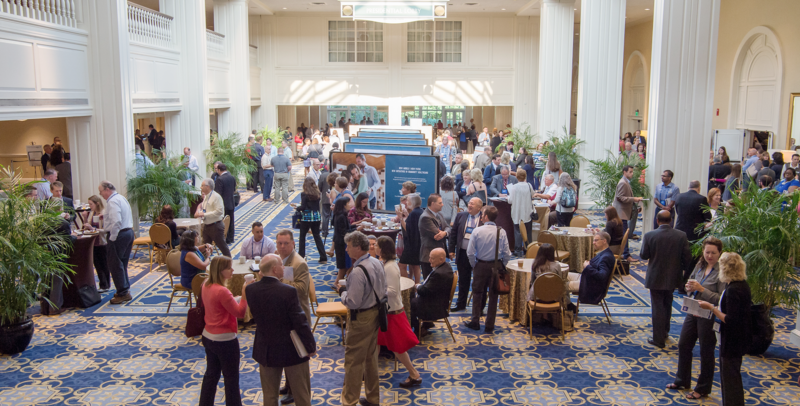 Since 1900, AACP’s member-directed programming provides pharmacy educators with opportunities to network with peers at our annual, interim and other meetings for the purposes of enrichment, professional growth and development. Join your colleagues in Boston for Pharmacy Education 2018 and hear from experts in education, science, leadership and success at work. Insightful speakers, dynamic microsessions and enlightening peer discussions will invigorate current and future leaders during four days of collaboration and hands-on learning. Attendees will return to their schools with new strategies to lead and manage change. The Institute experience is designed for teams of three to five individuals to collaborate, away from their college or school, on a curriculum issue. Teams benefit from hearing from experts on a topic and creating a plan of action to implement change to address the issue at their home institution. AACP hosts informative and educational webinars presented by members of our Sections and Special Interest Groups throughout the year. Past webinars are available on AACP Connect. You must be logged into AACP Connect to see the listings. AACP also offers a Continuing Education (CE) Webinar Series to assist faculty members in ensuring that pharmacy school graduates are prepared for the needs of patients and their caregivers in the current and future healthcare landscape. Previously recorded CE webinars are available to earn CPE Credit. Connect with colleagues in Chicago for Pharmacy Education 2019, and explore the role of pharmacy and pharmacy education in today’s challenging healthcare landscape. This webinar will describe two critical thinking assessment strategies for APPE students in a community pharmacy setting. This session will showcase three different interprofessional education cultural competency (IPE-CC) initiatives. This session will provide a practical approach to educating other health care discipline students that clinicians can easily implement into their practice. The Pharmacists’ Patient Care Process was developed after the CAPE 2013 Outcomes, the EPAs for New Pharmacy Graduates operationalize the CAPE 2013 Outcomes into discrete tasks that can be measured. This session will provide an overview of successful publication strategies for scholarly work in pharmacy education. Learn from pharmacy education journal editors about tips and tricks that make your work appealing to editors, reviewers and the academy.